If you're anything like me, you're probably not the best at getting the girls. This guide should help with that. How to Unlock Monika's Bonus Route. So you've heard of this game, you know it's got adult themes from the fact that it has a disclaimer attached. This is due to the more... adult themes occuring later on in the game. This guide should help you with getting those girls into those certain themes later on. 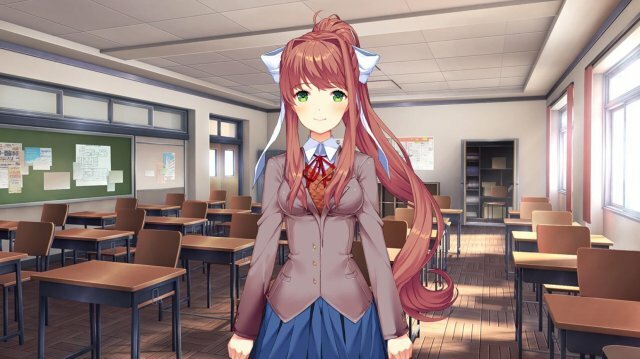 For those of you asking about Monika, the answer is, for some reason, she doesn't have a romance pathway. Silly oversight IMO, since she's a pretty cool character, oh well. Anyway, the first thing I should mention that is true of all characters is that in order to max out your relationship with them, you must produce poems that they approve of. 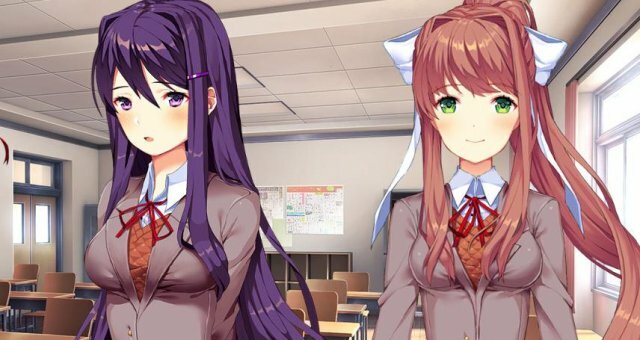 Each poem you make will gain the approval of one of the three girls. I'm not going to put down the specifics of this, since I've seen another guide floating round with all the words and their score for each girl, which you can check out if you want. You should be able to do fine if you get to know the girls, since word preferences are very based on their personality. Secondly, the first part of the game is purely to "level up" people's affections to you. Assuming you gained enough affection with them, you can then "lock in" your choice by selecting the speciific choice when asked. I've prompted where that is on the guide for each person. If a person has not gained enough affection with you, then it will not lock in, and the game will continue. If you don't lock in with anyone, the game's bad ending will play. 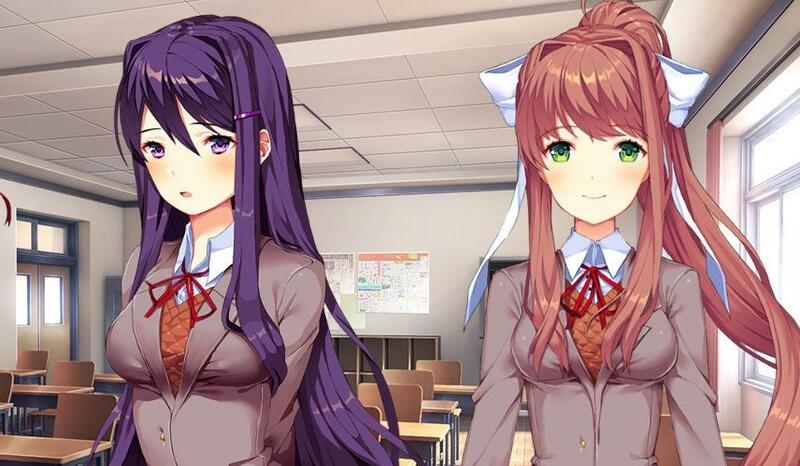 The order in which you can lock in is Sayori--Yuri-->Natsuki. Sayori is your happy, friendly childhood friend. 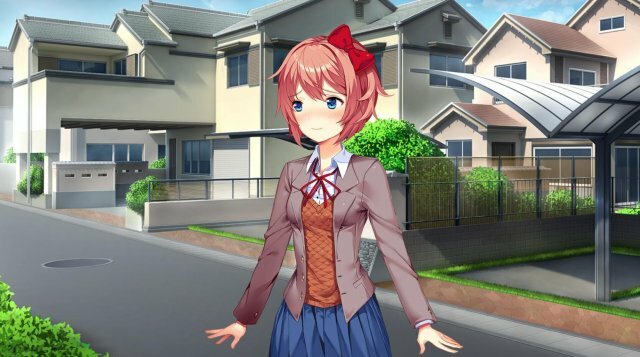 She has always been there for you, although until she invited you to the lit club, you two had started to see less and less of each other due to her getting up late for school, and you having interests away from hers. Can you rekindle this friendship into something more? 7th Choice - Let's go on an adventure! Should be impossible to fail from this point out. 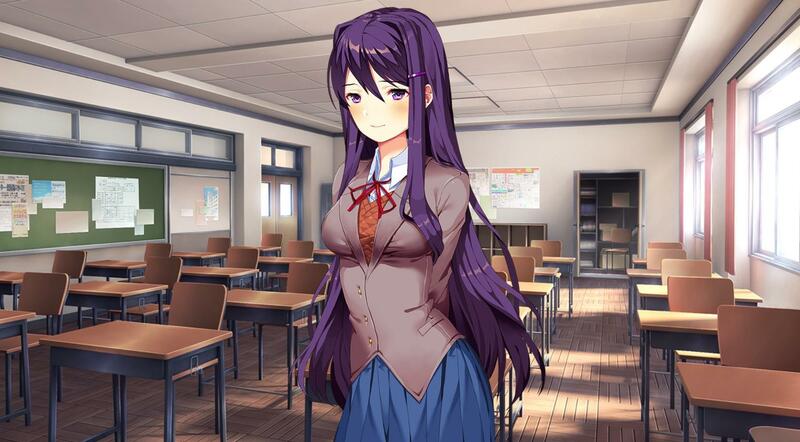 The shy, awkward one of the club, Yuri has a lot of hidden depths to her that will slowly be revealed through the game. Can you bring her out of her shell and into your life? From here, you can't fail. Best of luck! 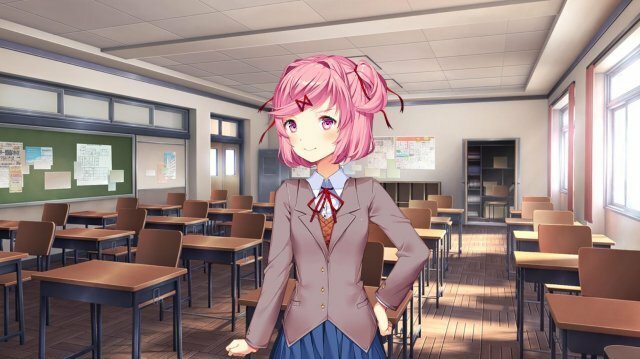 Natsuki is the youngest one in the club, and likes cute things and food. She isn't overly fond of being straight up nice, but beneath it all, she has a good heart. Natsuki needs less affection to get, but this is counterbalanced by having one fewer choice that affects her affection level. Should be impossible to fail from here. So there we have it, the three potential pathways in a nutshell with as few spoilers as I can manage. Good luck getting those girls!